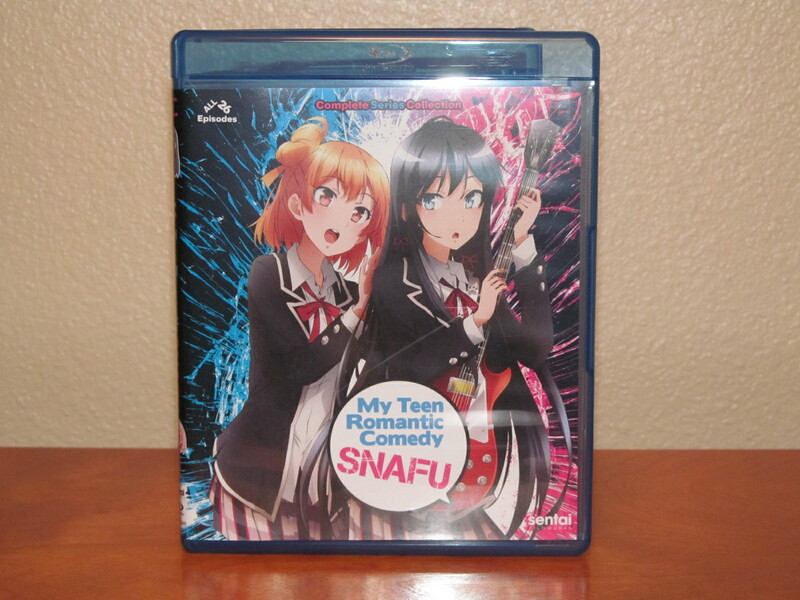 Sentai Filmworks is re-releasing the anime My Teen Romantic Comedy SNAFU in a complete collection combining the earlier individual releases of Seasons 1 and 2. This 4 disc Blu-ray 26 episode set contains 650 minutes of entertainment. SNAFU, as I have always heard it at least, was a military term that meant “status nominal all fucked up”. I have also heard a more modern gentler definition of “situation normal all fouled up”. Apparently, the translation of the Japanese novel’s title is My Youth Romantic Comedy is Wrong, As I Expected which I think gives a bit more of a flavor of the tone the show is going for. There are multiple manga volumes of the story and a video game entitled Yahari Game demo Ore no Seishun Rabukome wa Machigatteiru for the Vita, but I’m sure you already knew that. In case you couldn’t guess this animated series is a romantic comedy. 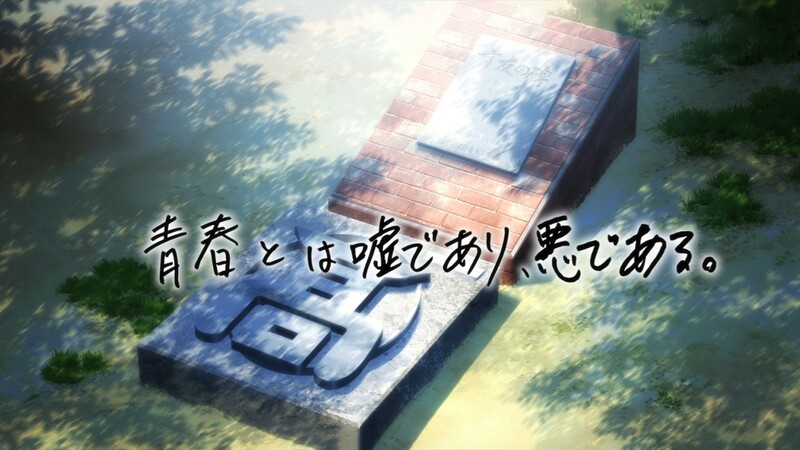 It’s about a student named Hikigaya Hachiman. He has a unique way of looking at things and therefore does not have any friends. He cannot believe that people are really happy with their own lives and think they are all delusional. Even though Hikigaya has no ambition, one of his high school teachers makes him join the Volunteer Service Club as punishment for his essay expressing his polarizing views. Once in this club, of course, he bumps into Yukinoshita Yukino, the school’s most adored and sought after girl. What possibly could happen next in a romantic comedy? You’ll just have to watch to find out. 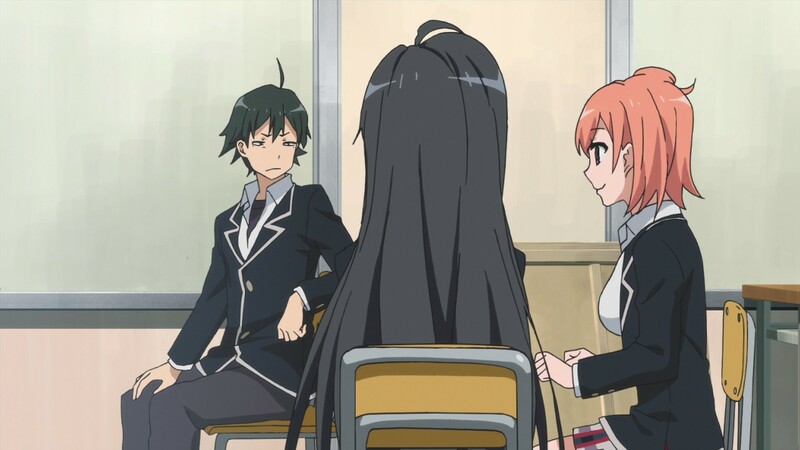 I found that My Teen Romantic Comedy SNAFU is not your typical romantic comedy in that the jokes are fairly dry and more realistic in its portrayal of why people are anti-social. There are charming parts but it really keeps up the theme of life is screwed up. It shows a side that bitterness and rejection is part of relationships and that people are affected differently by that. 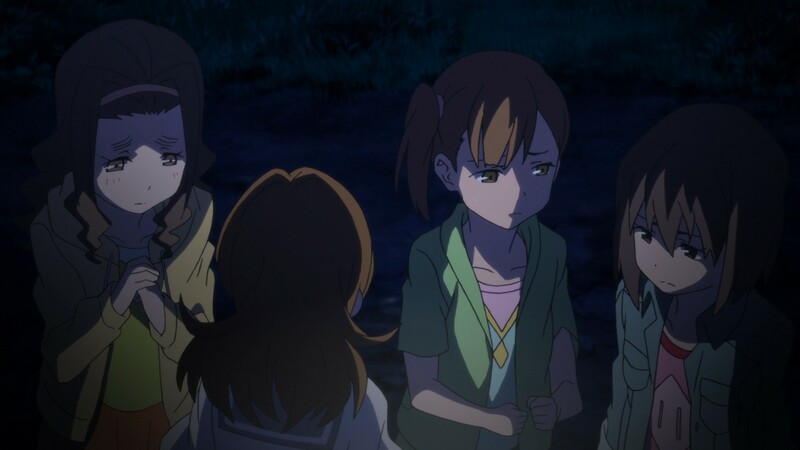 It’s nice to have shows from that perspective as well, and so some viewers will specifically gravitate more towards the characterizations and feel it’s refreshing in a sense to have situations they can relate to more so than a typical show. The characters are still young and inexperienced so there is a nuance to that portrayal in the plot. Ideas will be flawed and I like that because it gives a bit of a different perspective on the lead characters and why people react (or don’t react) to them. The show isn’t a serious drama, but it’s also not crazy clown time either. I think the show has a nice balance of being serious and funny when it needs to be and doesn’t rely too heavily on one or the other. There are a lot of interpersonal relationships with the characters so they closer you feel to someone in the show the more you will enjoy it or get something out of it in return. 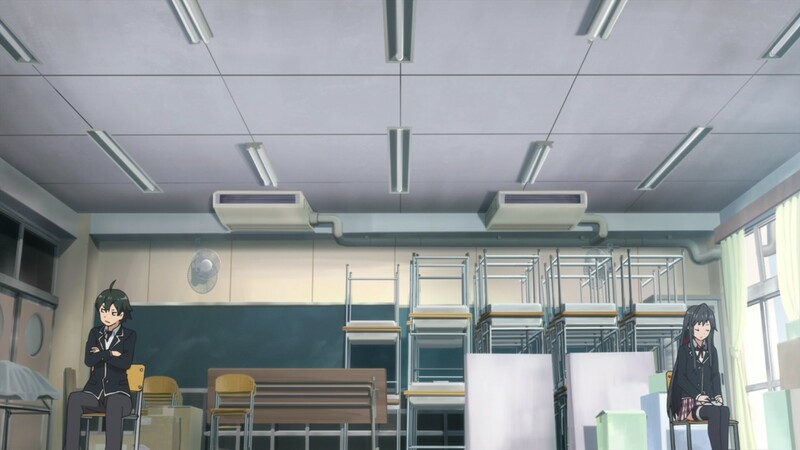 The picture quality and sound are what you would expect from a modern anime on Blu-ray. The selected screenshots included in this review give a good overall picture as to the style of animation used in the show. Japanese DTS-HD Master Audio 2.0 with English subtitles are included. If you are hoping for a breezy, fun romance anime then this might not be the right one. My Teen Romantic Comedy SNAFU deals more with emotions and how people treat each other and what effect they have on people around them. There is a lot of internal conflicts with the characters and how they deal with them and in turn why they are afraid of others finding out what their true feelings are. If you are looking for an anime that is a little darker tonally with respect to relationships then this might be the show you want. If you don’t really fit in or have trouble with knowing how to deal with others you might get quite a bit out of the show. For those who already own the original Blu-ray releases of Season 1 and 2, it looks like it’s the same discs on this combined release and probably isn’t saving much space to re-buy the new release. However, if you are new to the series and are interested in picking it up then this one is the version to buy as you get both series for a bit of a discounted price. You can pick up your copy here at Amazon or other fine retailers. Note: This Blu-ray was sent to us for review. This has not affected our judgment or editorial process in any way. Please contact us if you have any questions regarding this process.